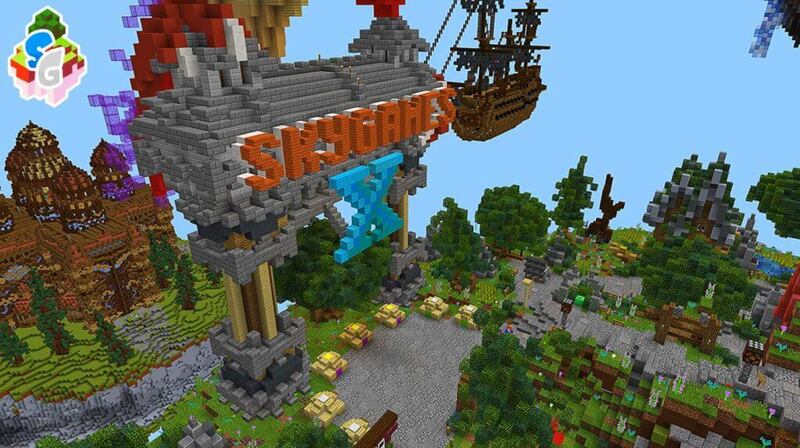 Map SkyGames Fan Realm 2019 is the great map where all the favourite modes are collected. You can find all the most popular games here, so call friends and don’t waste time! Have fun together and take part in diverse competitions on this map fro our favourite SkyGames Studio! The map contains a huge number of best minigames for you and your friends. Everyone will be able to find something for himself! Would you like to play SkyWars or Spleef on one of the best arenas in Minecraft? This map is what you need! Need more running – TNT Run will help you! Really great lobby in unusual style will impress you and your friends, so don’t miss your chance to try the map with yourself! Download Map SkyGames Fan Realm for Minecraft PE for Android and look for more great Mods, Texture Packs, Seeds and Skins by these links. Leave your feedback with the results of all the minigames to compete with all out users!